Formerly located on the Avenue in Toronto, the Department of Interiors company was founded in 1986 by Robert Warsh, who grew up in a 3rd-generation textile family. Today, the company is located in the prestigious and highly sought-after Rosedale neighborhood, just minutes from the hustle and bustle of downtown Toronto. A shop more than inspiring! Department of Interiors aims to realize a project so that it looks like you. Each project is unique in itself and thanks to their turnkey interior designer service, they will accompany you with their expertise and offer a multitude of options to meet your needs while respecting your budget. A personalized service of rare quality! With their exceptional selection of fabrics, custom-made furniture and accessories, the Department of Interiors will guide you and make every effort to ensure that your vision of your interior comes to life before you… They also specialize in searching for antiques, and will find the rare gem for you! Expert advice for a wow result! Whether to add one or two cushions to your sofa, to dress your windows in style or to add a key cabinet to your decor, the experts of the Department of Interiors boutique will know how to inspire you… Their approach is based on quality fabrics they choose with the utmost care. They find their fabrics from the best textile factories in Europe and are always connected to different trends and new styles of the market. 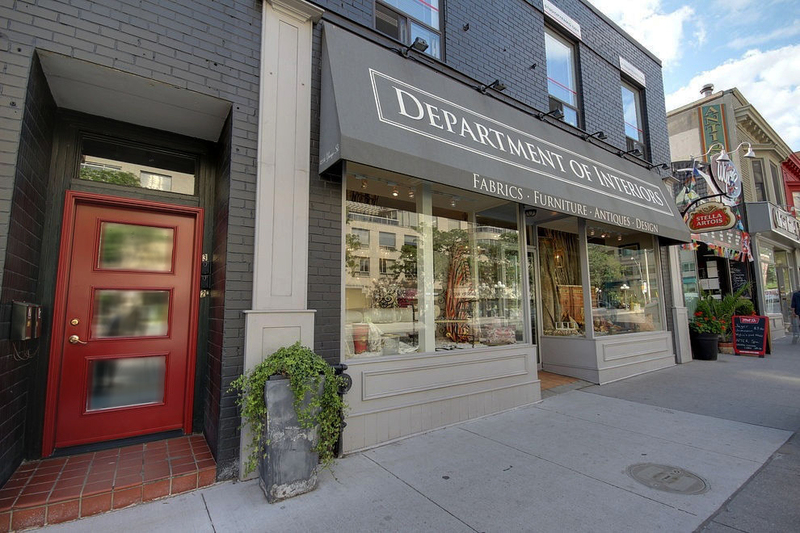 This renowned boutique is a must-visit, the Department of Interiors, located at 1234 Yonge Street, Toronto, will undoubtedly surpass your expectations! Over the years, this boutique store has become a must-visit in terms of interior design!